When Box1 move to Box2 body and they are colliding. 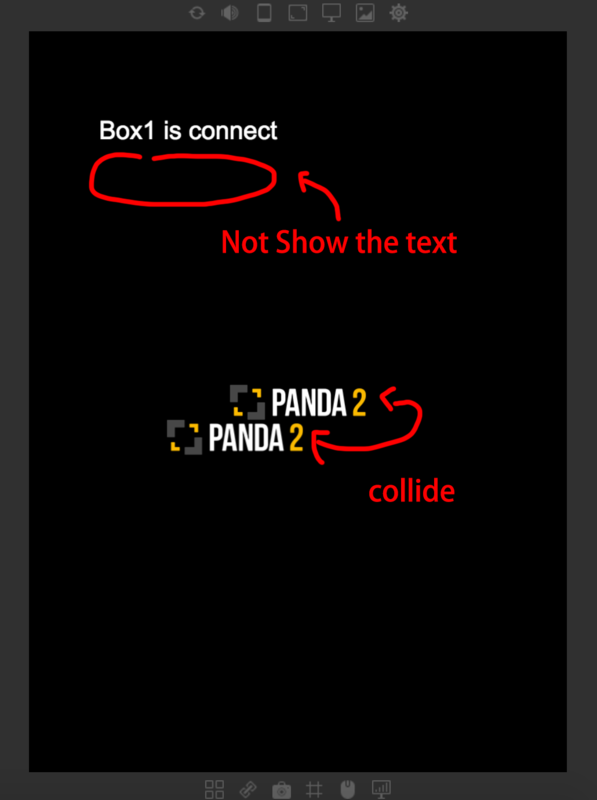 The Box1text is show " Box1 is connect"
but only Box1text successful show the text. I had a little play around, and this is how I guess it works. Collisions are done in order of collisionGroup. Box1 is in collisionGroup 1, so it's collision executes first on collision (before collisionGroup2). 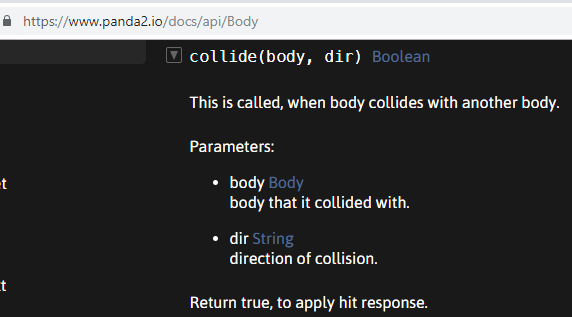 Now: If in the first collide() function, you move the body back outside the collision, when it's now turn for collisionGroup 2 to look for collisions, it no longer exists anymore. Does that make sense? You can change Box1 to collitionGroup 3, and you'll see that it's now Box2's text that shows up as it's now the 'first collision' in order. To stop this: You can make sure you don't move outside of the collision. So in Box1: collide event: Return false instead of true. ..whatever hit response is. I think it just means it will handle the collision by moving the bodies outside of each other. Now: You still return true (so the bodies will move outside each other) but now you're manually calling the collision function on the other object. Thank you very much for the awesome code and teaching me!!! Have a nice day!!! Thanks again!! !